Hanako Maki | The Phoenix The Loyola men's basketball team celebrates its win in the Elite 8. College basketball is rolling out a new method to determine which teams make it to March Madness this season. 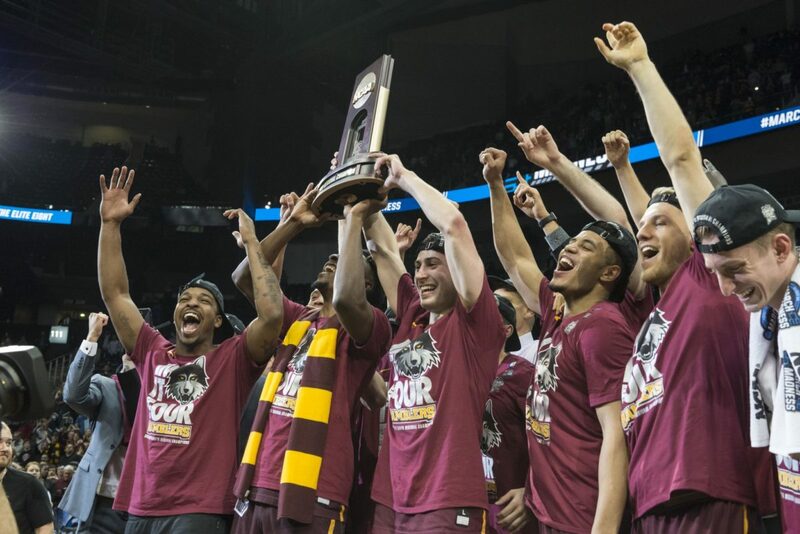 After 37 years of using the Rating Percentage Index (RPI) to determine which teams would receive at-large bids to the Big Dance, the NCAA men’s basketball committee is preparing to showcase the NCAA Evaluation Tool (NET) during the 2018-19 season. 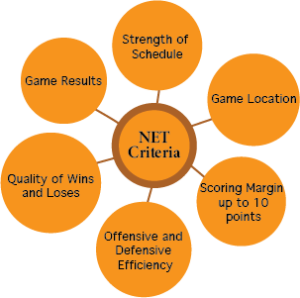 The NET will be calculated by six different factors: game results, schedule strength, game location, scoring margin up to 10 points, offensive and defensive efficiency and the quality of wins and losses. It’s more complex than the RPI, which only factored in Division I (D-I) winning percentage, opponents’ D-I winning percentage and their opponents’ D-I winning percentage. 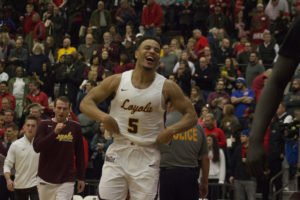 Before Loyola went on its Cinderella run in March Madness last year, analysts weren’t sure if the Ramblers would’ve made the Big Dance if they’d lost the Missouri Valley Conference (MVC) tournament championship game — despite bringing a 25-5 record into the conference tournament — because the RPI was results-based. The Ramblers ranked 32nd in the RPI heading into Arch Madness, but carried a 129th-ranked Strength of Schedule, according to TeamRankings.com. Only 68 teams make the NCAA Tournament, with four teams competing in play-in games before the first round. MVC commissioner Doug Elgin said he expects the ranking of teams to stay the same this year even with the new analytic, but it’s a step in the right direction toward a level playing field, because the NET uses predictive metrics rather than results-based metrics. The 351 spots are condensed into four quadrants based on where the teams rank in terms of NET. If a team from a lower ranked quadrant beats a team that’s placed higher, that win bumps them up more than if they were to beat a team on their same level. For example, if a Quadrant-two team beats a Quadrant-one team, that’s a higher quality victory than if it beat another Quadrant-two team. Google Cloud Professional Services is involved in calculating the NET, according to a press release from the NCAA, and Elgin said he’s heard doing so will be a “complicated process.” He added that, even with the new system, he thinks the MVC still needs to perform well in non-conference play to be eligible for at-large bids to the NCAA Tournament in March. When asked about the NET at the Chicagoland Tip-Off Luncheon Oct. 8, Loyola men’s basketball coach Porter Moser said he didn’t know what to make of the new system and he’ll know more about it once he sees it in action this year. The NCAA men’s basketball committee is planning to unveil its first NET rankings in late November or early December, according to ESPN. Other D-I sports, including women’s basketball, will continue to use the RPI.